Mahmudullah, Bangladesh's stand-in captain, has urged his batsmen to show guts in tackling New Zealand's pace bowlers, admitting that they were "caught in two minds" in the second Test in Wellington. Despite the first two days being a complete washout, New Zealand completed a win by an innings and 12 runs in the first session of the final day, securing the three-Test series 2-0. Neil Wagner, who took five wickets in the first innings of the Hamilton Test, again sent down a short-ball barrage to snare another five-for on Tuesday, 12 March. Bangladesh had no answers to what Mahmadullah called Wagner's "bouncer theory" and ended up playing risky shots that cost them the match. Tamim Iqbal's 74 in the first innings and Mahmudullah's 67 off 69 in the second, were the only fifty-plus scores from the visitors. "In the first innings, Tamim and Shadman [Islam] gave us a good start and even after Wagner started with his bouncer theory, we were handling him well, but then we gave it away," Mahmudullah said. "We have to bat with more guts for longer periods. A number of our batsmen are playing half-hearted shots, or we are not committed. We are in two minds whether to play a shot or not. You need to back yourself. If you want to attack, you should know how you want to cope with their bouncer theory." The last time Bangladesh played a Test in Wellington was back in January 2017, and Wagner had troubled the visitors the same way, snaring a total of six wickets in the Test. "We knew about him from the last time we were here," Mahmudullah said. "Now we are talking a lot about the Wagner factor. A Wellington pitch that offered more bounce than what the teams encountered in the first Test in Hamilton only made the task for the batsmen harder. "There was certainly help in the pitches for both sets of pace bowlers but we couldn't utilise it as well as they did," he said. "Wagner had to pitch it really short in Hamilton [in the first Test] while here he got bounce from a length slightly further up. It was easier to play or leave in Hamilton. Here there was a bit more in the pitch. He made use of it." The last Test is in Christchurch, and Mahmudullah, who is expecting another fast-track, called for improvement from the batting unit after his side were bowled out inside three days in the first two Tests. 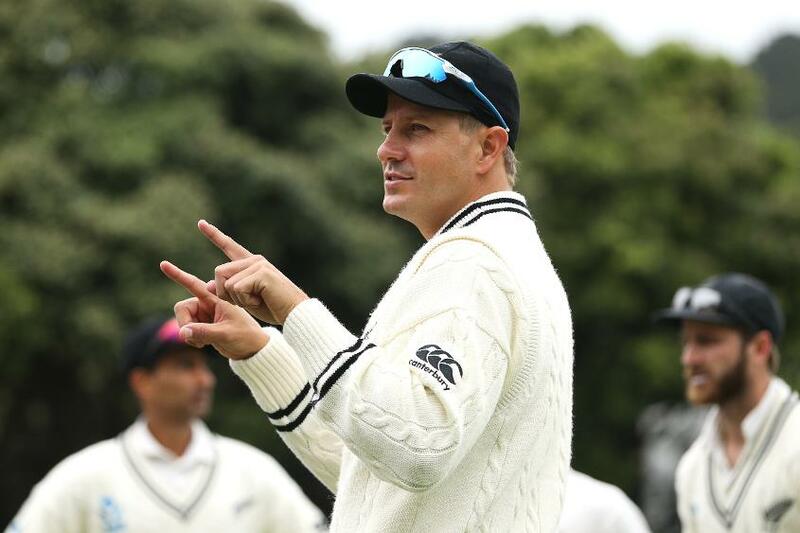 "They will probably have a fast wicket in Christchurch, so our batsmen have to be more responsible, particularly with three new bowlers in the side. I think it is the batsmen who should take more of the blame. We were bowled out twice inside two-and-a-half days."